Flash or fire: what is your game built on? This week, I continue to focus on some interesting client activity and board meetings in New York and Boston. 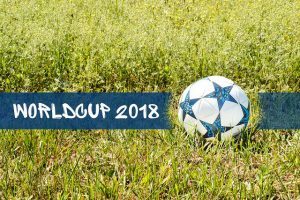 Nonetheless, I have been able to catch a bit of the football (soccer to Americans) World Cup—not much the matches themselves, but at least a half-hour highlight show most evenings. On one of these occasions, I listened to four commentators analyze two remarkable goals by England captain Harry Kane in his team’s opening victory over Tunisia. One pundit called Kane a “natural born scorer”. Another spoke of his “talent”, and his “instinctive nose for the goal.” Still another chimed in to say that these are not things one can learn or teach but rather something he was born with. A fourth cited a strong element of luck, saying that Kane had been exceedingly fortunate to be in the right place in front of the goal when the ball bounced his way. Some may see my reaction as mere quibbling over vocabulary, but I continue to believe that the specific words we use are indeed important. When I hear such terms in the descriptions of a player’s prowess, I am somewhat vexed, but certainly not surprised. Listening to these “experts” serves as a striking reminder that much of society continues to attribute performances such as Kane’s to luck, inborn talent, or a mysterious trait they call instinct. My aversion to the use of such terms has its roots in my own experience. Indeed, my decades of research and teaching have led me to the firm conviction that the truth undoubtedly lies elsewhere. Though I have not followed Mr Kane’s career very closely, I watch enough news about football to know that he has been a prodigious scorer in England for several years. When I observed his two World Cup goals, I was in fact struck by the knack he seems to have for being in the right place at the opportune moment. Rather than luck or a “gift” though, I would contend that he has developed these skills—as all accomplished athletes do—through a combination of coaching, mindful practice, passion, and an endless will to prepare. In other words, if Harry Kane does indeed have a “nose” for being in a favorable position to score, it is because of his diligence and determination in practice. He has simply seen these situations over and over on the training pitch, and he has worked hard at developing his instinct, an instinct that some people continue to wrongly describe as “natural” or “inborn”. Years ago, I recall listening to the illustrious basketball player Michael Jordan discussing his public image with a group of journalists. At one point, he answered a question concerning what he thought people did not know, or what they misunderstood, about him. One particular element of his answer struck me, and stayed in my memory: that people tended to think of him as a “great natural athlete”. What bothered him about this perception was that it somehow discounted all the hard work he did to become the outstanding player he became. Whenever Phil Jackson, the coach of the Jordan era Chicago Bulls, describes this star player’s work ethic, he speaks with admiration of Jordan’s drive, his desire to improve every day in practice. Jackson says that Michael would simply exercise with greater concentration than anyone else, that he would work himself “into a lather” with his intensity, and that he would push himself ever harder whenever things got more difficult. Even when he had become the premier player in the game, he rarely took a day off from his demanding practice routine. In the end, it is not “natural talent” that leads to sporting success, but rather practice and preparation. It is certainly no different in the case of Harry Kane. And, to those who say that Kane was “lucky” to find himself two times in the perfect position to put the ball in the back of the net, I reference my all-time favorite quote about luck. It came after Gary Player, a champion golfer from South Africa, had finished a remarkable 18 holes in which a number of his long shots seemed to have eyes, as they found their way directly into the cup. Why are so many meetings so boring? What do outstanding leaders have in common?